*Parents work one day per week in the classroom. On specified workdays, parents arrive 15 minutes early to set up the classroom. After school ends, a half hour is dedicated to clean up and the last half hour is dedicated to our class seminars for parents. 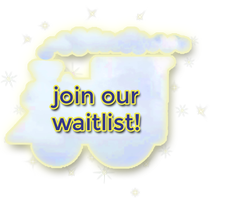 **Children must be 2 1/2 years old by September 1st or 3 years old by the date of enrollment if enrolling later in the year. Even if your payment is postmarked by the 5th but arrives after the 5th, it will be deemed late and you will be charged a LATE FEE of $25. Classes are limited to a maximum of 14-16 children + 4 siblings on T/TH and 15-16 children + 6 siblings for M/W/F. ​Scholarships are available to families who need assistance with tuition. Please talk to the Membership Coordinator or your teacher if you're interested in a scholarship.